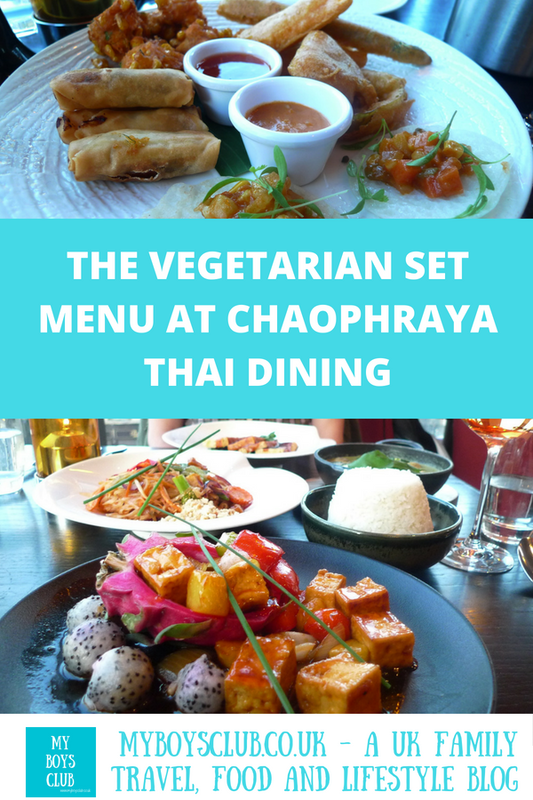 Chaophraya Thai Dining has launched a new menu which includes a Vegetarian Set Menu, so as it's National Vegetarian Week we went along to one of their restaurants in Newcastle-upon-Tyne to try it out. 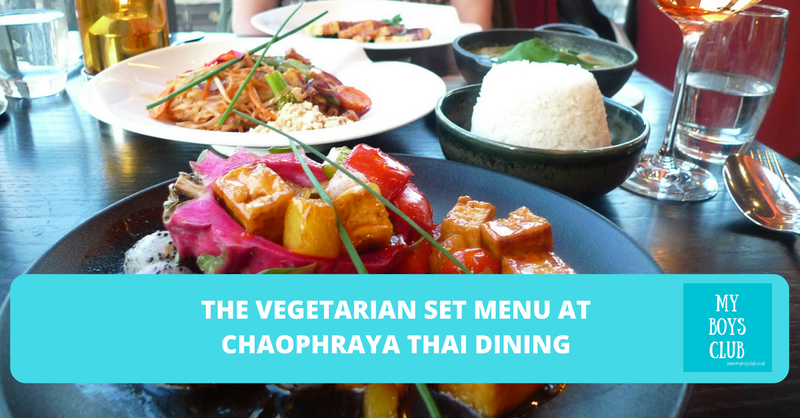 It's not the first time we've been invited to review the food at Chaophraya - we've eaten à la carte, tested the lunch menu and also tried out a Thai cookery class. So how would the vegetarian set menu fair? I've yet to be disappointed by the Thai restaurant located on the Upper Floor of the Grey Quarter in intu Eldon Square in the heart of Newcastle. In fact, you can't get much more central, the amazing views from the panoramic windows or roof terrace overlook Grey's Monument. "My team and I travel regularly to Thailand to source the best cooking ingredients and to get inspiration for new dishes. In Thailand, we eat ‘family style’ which is where everyone shares all the dishes. Our set menus are designed with this same principle in mind and this way you will get to try more dishes and different flavours. 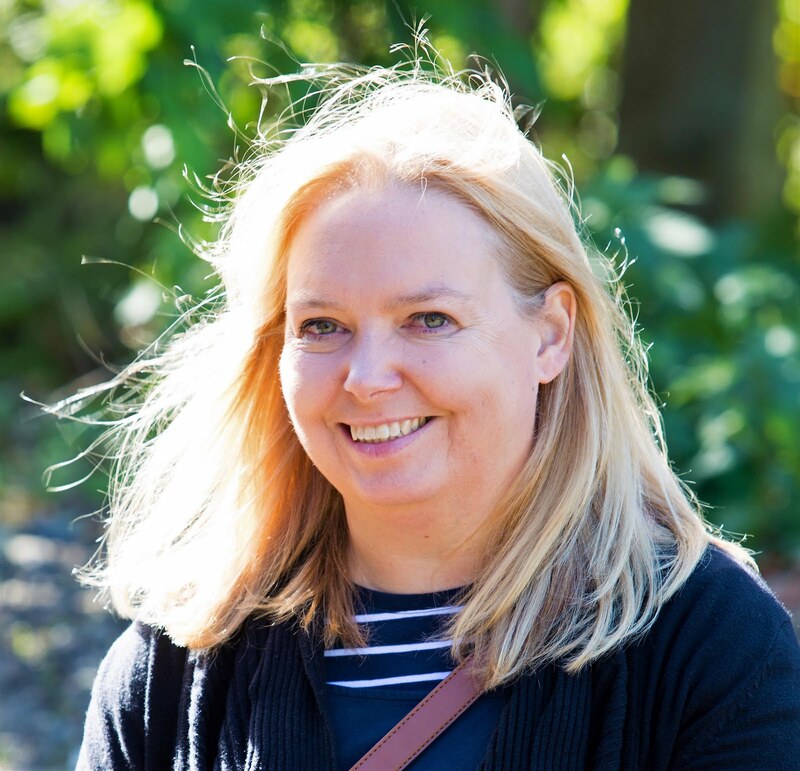 In these menus, we’ve put together a range of traditional favourites and some classic dishes with a little bit of a twist." As well as the Vegetarian Set Menu there is also a Traditional (£32), Thai Tapas (£37) and Royal £42) set menus, priced per person. But we were there to sample the vegetarian offering. So what did we find? Named after a month-long festival held in Phuket for vegetarians. A combination of sweetcorn cakes, spring rolls, red curry battered vegetables, miang kham and Thai vegetable tacos. There is a lot of food on the platter, but all equally delicious, if I had to pick a favourite it would be the sweetcorn cakes, however, the battered asparagus was a delight, and the tacos and spring rolls really good too. We tried one of each and both were unexpectedly delicious and great for cleansing your palate between courses. An original recipe curry with coconut milk, tofu, courgettes and beans garnished with sweet basil and chillies. Always one of my favourite dishes, ad one that I made myself when I attended the cookery course. The sauce is delicious with just the right amount of heat to accompany the tofu and vegetables. Crispy tofu stir-fried with sweet and sour sauce served with pomegranate seeds, peppers, pineapple, tomatoes, onions and Thai dragon fruit. This, as you can see, was a beautiful dish. It looked like a piece of art. Taste wise it was fruity, fragrant and light. Vegetables in a palm sugar and tamarind sauce topped with fried shallot, cashew nuts and dried chilli. Served with seasonal vegetables. This dish really impressed me and it was easy to forget that this was not actually a meat dish. Imitating a meat dish it was full of flavour, and one we managed to finish eating. Founder Kim’s own famous recipe of Thai rice noodles, stir-fried with egg, vegetables and tamarind sauce. Even on our third sampling of the this dish its remains one of the best. As we'd had it before we concentrated on the other dishes, with the amount of food on the table, but didn't waste any as we took it home with us and enjoyed it for lunch the next day. This was all served with two portions of Jasmine Rice. Well, there was so much food. Thai fine dining for just £28 per head and we had to take some home with us. It is certainly worth the price. But not only that it was the best food I've eaten at Chaophraya - and that is high praise indeed as I have always loved their food. The style and service are also impeccable too. Curious as so many the vegetarian dishes don't include dairy products, I asked the restaurant about which dishes are actually vegan and not just vegetarian. It turns out that most of the vegetarian set menu is suitable for vegans too. I was informed that only the battered vegetables in the sharing platter are not vegan. This discovery made the taste sensations we had enjoyed even the more amazing. And there are also meals on the à la carte like the Papaya Salad and Thai Red Curry, in addition to the veggie set menu that are vegan too. One of the dishes on the menu included an ingredient that was new to me, Dragonfruit. It has a unique look and taste, with a bright pink, decorative shell, with a fairly clear white fleshy inside with black spots. The skin is not edible but the flesh has a very mild taste and to me was in between melon and a kiwi fruit in the taste. Ever one to learn more when we returned home I googled the fruit and discovered it has lots of health benefits as well as being a tasty dish. Dragonfruit is also known as dragon pearl fruit, cactus fruits, strawberry pear, pitahaya or pitaya and is a tropical, delicious superfood that can do a lot for your health. Dragon fruit is jam-packed with flavonoids and flu-fighting vitamin C, which is great for the immune system. The fruit contains small amounts of several nutrients and is a good source of vitamin C and iron. With a high amount of fibre and vitamin C, as well as being extremely low calorie, it could be considered to be a highly nutrient-dense fruit. I'm now a big fan of Dragonfruit. What exotic food do you like eating. Disclosure: We were invited to review the Vegetarian Set Menu on a complimentary basis in return for an honest review.